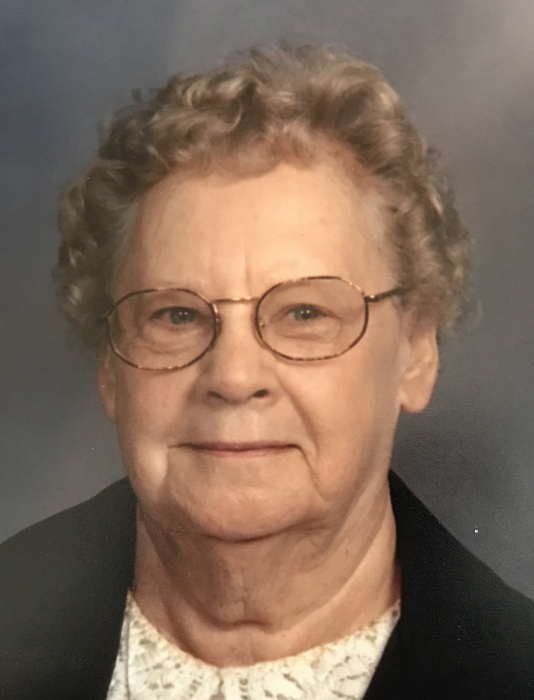 Lorraine L. Storm, 87, of Streator passed away at 6:14 PM Thursday (June 28, 2018) at Parker Nursing and Rehabilitation Center in Streator. A visitation will be held Friday from 1-2 PM at the Hagi & Baker Funeral Home. Funeral services will be held at 2 PM Friday at the funeral home. Interment will be in Riverview Cemetery. Family members will serve as pallbearers. She was born on September 30, 1930 in Streator to James & Goldie (Perry) Wagher. She married Donald Storm on Jan. 23, 1950 in Pontiac. She preceded her in death on Jan. 29, 1996. She is survived by a son Robert (Susan) Storm of Chebanse; a daughter, Shirley Jean Bazaie; 5 grandchildren; 4 great grandchildren and 2 great great grandchildren. She had worked for Owen’s-Illinois Glass, Lipton Tea, and Montgomery Wards, had sold Mary Kay Cosmetics and had her own beauty shop in her home. She was a member of First United Methodist Church, former member of the V.F.W. Ladies Auxiliary, Moose Auxiliary, the Golden Emblem Club and the prayer group at her church.